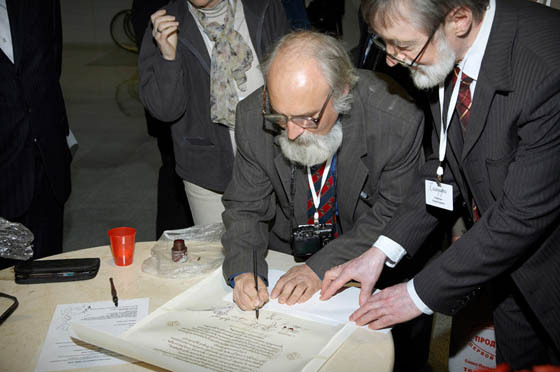 The National Union of Calligraphers is destined to unite the masters of beautiful handwriting from all over the world and to lay foundations of a calligraphers’ movement. The concept of the union was born at the International Exhibition of Calligraphy presentation. 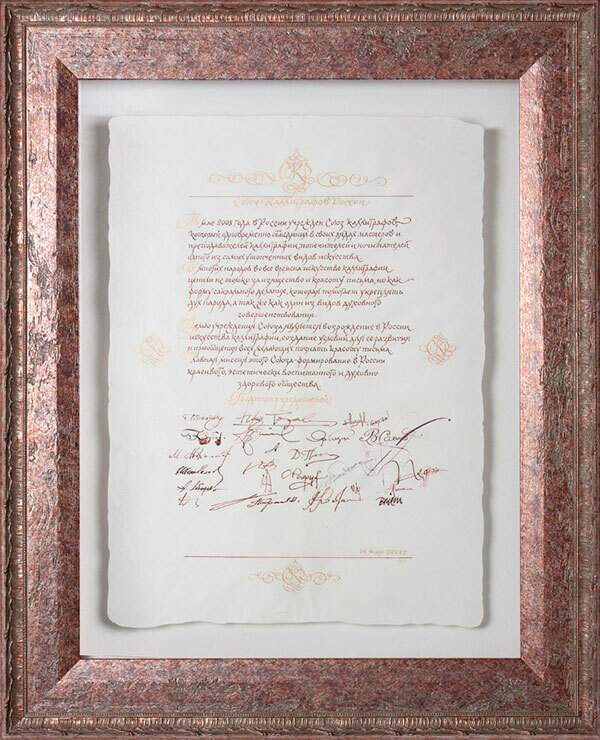 The project participants signed a handwritten charter symbolizing the union’s first steps. 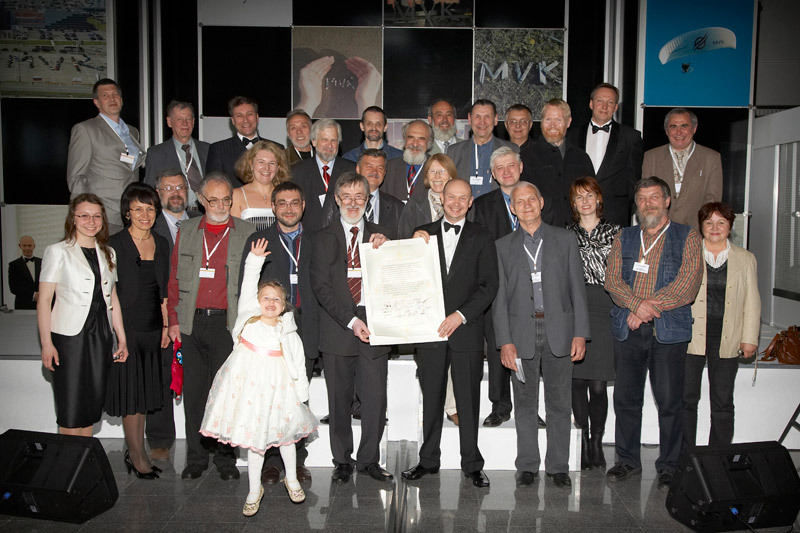 “The National Union of Calligraphers of Russia is hereby established in May 2008. The union gathers together calligraphy masters and teachers, sponsors and admirers of this most refined art. Over the centuries many peoples have valued calligraphy not only as a delicate form of writing but also as a vehicle of sacred rituals, which reinforces national spirit, as well as a spiritual practice to attain perfection. On July 22nd, the National Union of Calligraphers got the registration certificate from the Central Federal District Administration of the Ministry of Justice of the Russian Federation. Certificate No.3629. The full title of the Union of Calligraphers is: the National Union of Calligraphers, a non-profit partnership for the restoration of the art of calligraphy. Pyotr Chobitko was elected Chairman of the Presidium of the National Union of Calligraphers, and Alexey Shaburov – Director of the National Union of Calligraphers. The National Union of Calligraphers sees the creation of Russia’s first handwritten copy of the Constitution of the Russian Federation as rendering homage to the glorious history and traditions of our multinational state.